Welcome to what I know to be some of the most simple, yet effective ‘Must Do’ Organic Search – SEO TIPS for people who are thinking about setting up a website, especially bloggers. This is a starting point of what I know to be some of the most important things to rank in the SERP (Search Engine Results Page(s)) and you are only to read further if you want more people than your social networks and blog subscribers to visit your website. *Disclaimer* This is in no way an exhaustive list of ‘Must Do’s’. If you want to start talking a completely different language where SEO is concerned like, canonical references, schema markup and the like then send me a message and i’ll gladly talk goboldygook with you until I’m out of my depth or I’ve bored you to tears. This is why i’ve tailored these SEO Tips specifically for the blogger community and what I know will work well for them (and me for that!). Q) Do you actually know what SEO is? Yes of course I do, you numpty, i’m all over it! My plug-in does it for me. My mate does and they told me, “Just write in as many meta keywords as you possibly can”. A) “SEO is when you make it as easy as possible for (lets just say) Google to see all your cool stuff organically (Not Paid for) which it will then make visible to lots more people because it’s relevant to what they’re searching for and it’s easy for Google to find”. These tips are really aimed at those of you that have very little or no experience of the dark art that is SEO and if you have some or lots of experience then hopefully this will serve as a reminder or checklist for you. Link your Google+ to your blog. Link your blog back to your Google+. Put Google Analytics tracking on your site so you can see whats working and what isn’t. Put Google (and BING and Yahoo) Webmaster tools code on your site so they all know your site exists and is to be indexed. They will also tell you if you have any problems like broken links and 404 errors to fix which is nice of them. Create an xml sitemap for your site and upload it to all the webmaster tools accounts to tell all the search engines about your great content. You might need a separate one if you have lots and lots of images. Tell Google+ where else you write Awesome content and link to that. Write a Title for your post/page/article that has the keyword in it that you used in your URL. Put that same keyword in the page/post copy.. Obviously Derrr. Don’t be Lazy, write a good meta description (160 characters max). It must include the same keyword as the URL, title and copy. You know, the one you want to rank in the SERP for. 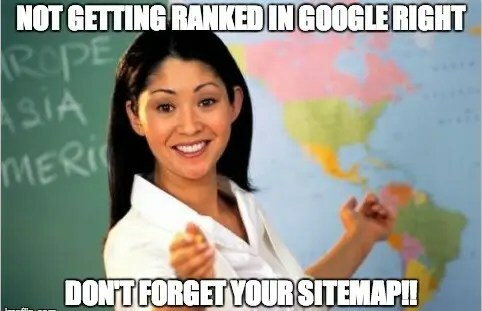 Have you got a sitemap? Make sure your pages and posts are not covered in BIG pictures as this slows your page load time. Google HATES a slow site and will penalise you for it. Only link internally when it’s totally relevant. Spell your kopy rite as its IMPOTANT! These are in no particular order however, I suggest you get your Google analytics, webmaster tools and uploading a sitemap sorted ASAP if you haven’t already as well as sorting your Google+ out! If you have any other favorite tips please feel free to share with my other other lovely reader (Hi Mom!) in the comments below. I hope that’s been of use to you, well some of you at least and in the ever changing world of SEO. I would expect these tips to be relevant for at least the next 48 hours and remember, good SEO is the friend that just keeps on giving! Have you got the equity for an investment property? Did you hear the one about the woman who didn’t have a termite inspection? Thanks for coming up with so important information that optimizers are looking for , “Must Do SEO tips” are really impressive, These will really gonna help my team to work on this and achieve good positions of our targeted keywords. 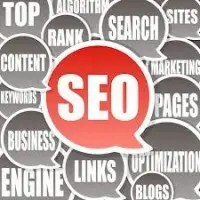 Awesome post of SEO tips. I couldn’t possibly answer your first question 😉 and the links to my social media are at the bottom of the page. But you’ve spelled/spelt penalised incorrectly – peanalised = minor error with an extra “a”. Aust/British english is “penalised”, American spelling is “penalized”. Otherwise some great tips. Thanks!! You have done really very good site. Great work, great site.Your site offers valuable information and good looking.I am very impressed too.Nice !! Thanks for your nice comment and glad you like it. Glad you like it and thanks for visiting. Thanks Lisa and i’m glad it’s given you the motivation to get back on track, people sometimes overlook how much traffic is available for a well optimised site. With GA your right to look at page-views and unique visits, have a look at the time people are spending on your site. This will give you an insight into whether people are sticking around to look deeper into your site. This normally tells you if they can actually find your other content from the page you originally send them to and if they can’t then you can easily fix that with more internal links or by tweaking your top menu. And for the record there are MANY GA stats you can look at and get lost in for hours. Have a look around Youtube for some GA tutorials OR maybe pay someone a few bucks to have a look at your stats and pull some insights for you.